Baobab powder, bursting with goodness signature African botanical, is popular among gym-goers and ladies. It is fibre-rich and exceptionally nutrient-dense, filled with calcium, vitamin C, potassium, magnesium, zinc, vitamin A, vitamin Bs and bioflavonoids. 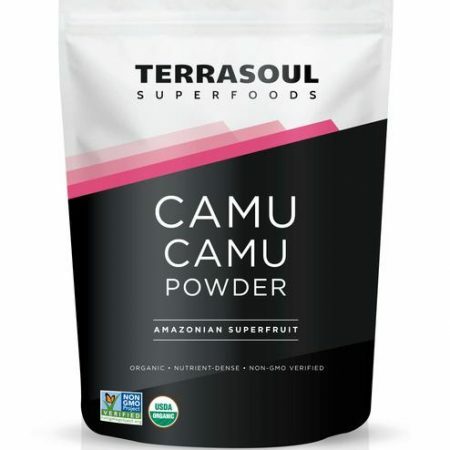 Terrasoul Baobab Powder brings a wide range of health and beauty benefits. 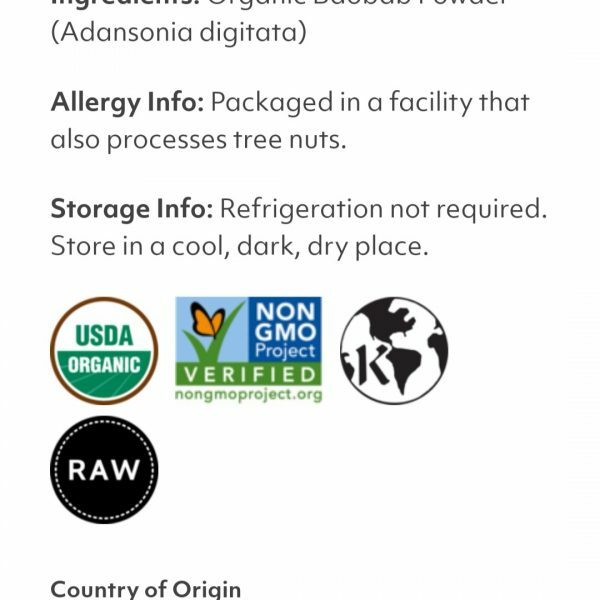 the rich nutritional content and flavour of the fresh fruit. Antioxidants strengthen your body against free radicals that can cause damage to the body, increasing the risk of degenerative diseases and other signs of aging, including wrinkles and fine lines. 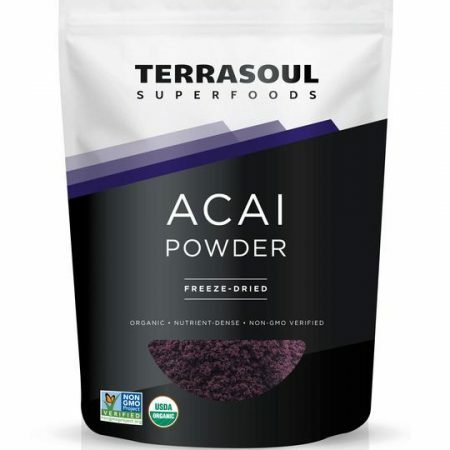 Gram per gram, Terrasoul African Baobab Powder has twice the antioxidants of goji berries and also more antioxidants than blueberries and pomegranates combined. Containing more potassium than bananas, Terrasoul Baobab Powder helps your muscles to work more efficiently and recover faster after exercise. With its fresh, tangy taste and potassium-rich profile, it is an ideal addition to your smoothies or juices for the gym or as a recovery drink after work outs. 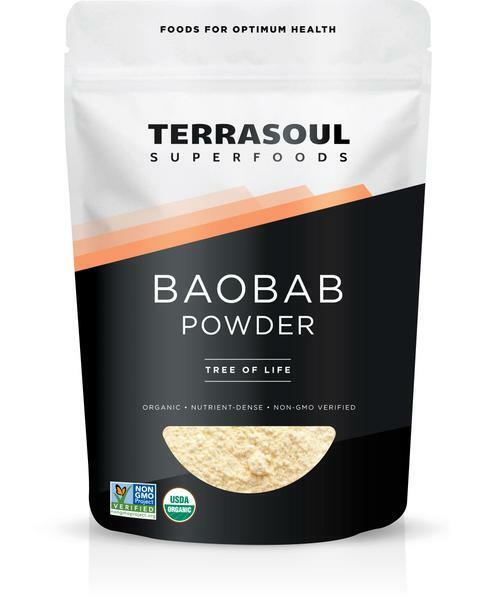 Terrasoul Baobab Powder can keep your liver healthy with nutrients like triterpenoids, beta-sitosterol, beta-amyrin palmitate and ursolic acid present in baobab fruit-pulp. Being particularly rich in fibre, digestive enzymes and prebiotics, baobab powder promotes gut health by enhancing the growth of healthy bacteria needed for a healthy digestive system. Add this citrus-like superfruit to your blender bottle and enjoy as your recovery smoothie after work outs. Other popular ways to have it is to incorporate it into fruit juices, cereals, granola bars, yogurts and dairy products. With its high pectin content, it also offers the benefit of being a natural food thickener. 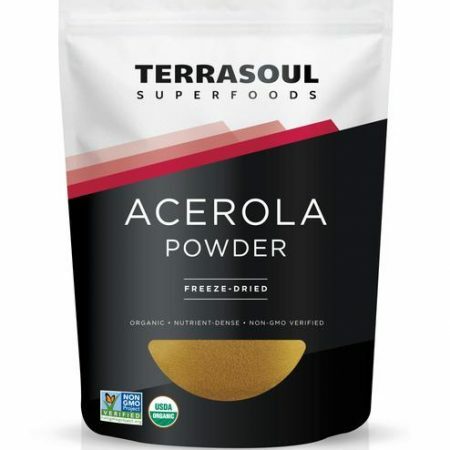 Terrasoul Baobab powder is harvested from tree-ripened fruit that is then dried at low temperatures to preserve all the flavor and nutrition. 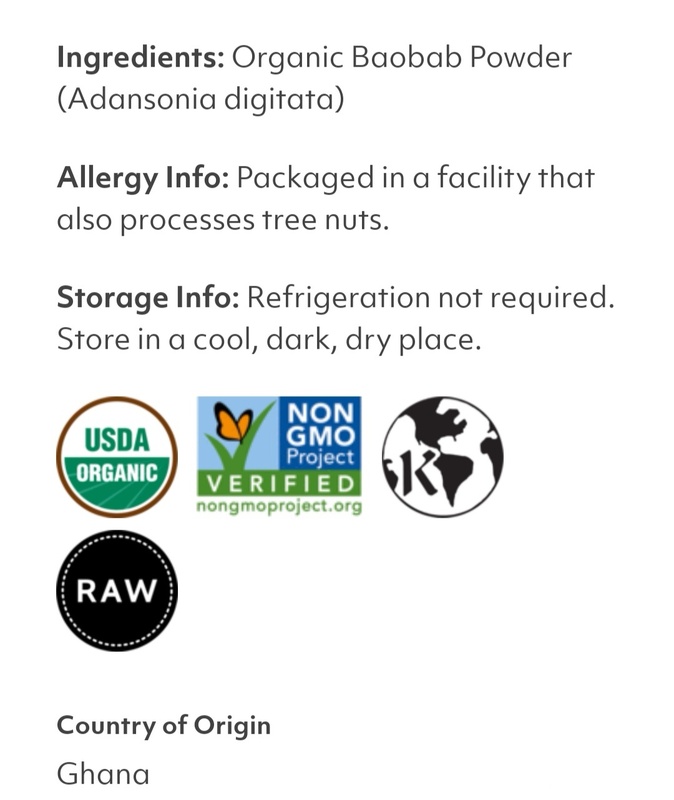 It’s certified-organic and Non-GMO Project verified.